A wealthy neighborhood is shaken by a murder. John Conrad, an American who recently moved to Thailand to take over as the new head of an international corporation, is found with his stomach ripped open, his guts missing, and a piece of cheese in his mouth. Manop, a journalist under financial strain, comes to the crime scene to report on the murder. There, he meets an unexpected visitor – the bloodthirsty Pob, a ghost known from Thai folk tales. The journalist makes a pact with the apparition, interviews him, and finds out all about the traumatic events of the previous night. As it turns out, the beyond can also experience language and cultural barriers. Pen-ek Ratanaruang paints a satirical portrait of the expat community in Southeast Asia, and their ignorance of local customs and cultures. He transfers the motif known from Oscar Wilde’s "The Canterville Ghost" and introduces a neocolonial context. The visual side of the film resembles the aesthetics of the classic Universal horrors. 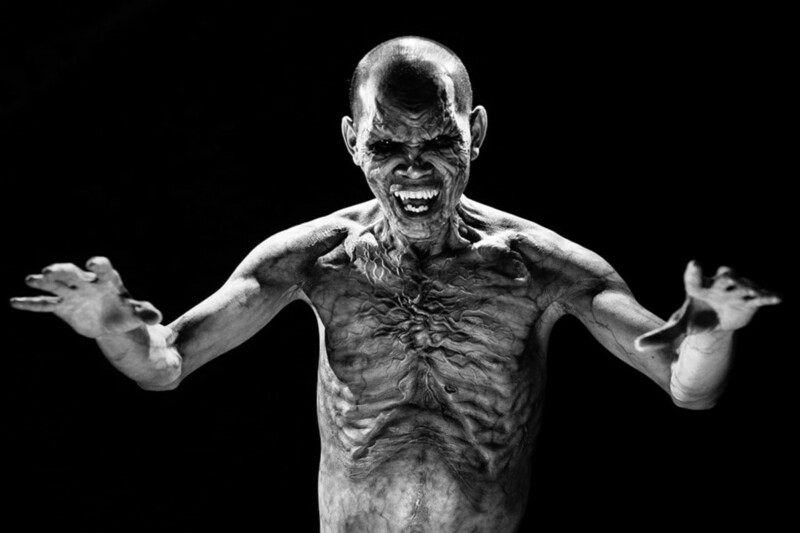 The break-through HBO Asia "Folklore" series adds the characteristic, terrifying Peeh Pob to the canon of ghosts and monsters. Born in 1962 in Bangkok, graduated from the department of Art History at the New York Pratt Institute, where he studied between 1977 and 1985. He started off as a freelance illustrator and designer. In 1993, he began working for Film Factory in Bangkok, where he met Wisit Sasanatieng. Both directors are currently considered as the most prominent filmmakers of the Thai New Wave. In Film Factory, Pen-ek shot a few successful, award-winning commercials. A few years later he made his feature debut, "Fun Bar Karaoke," which premiered at Berlinale IFF. In the 2000s, the director was involved in a series of pan-Asian productions, working with filmmakers from Japan, South Korea, and Hong Kong. Recently, he has been dividing his time between collaborations and his auteur projects.